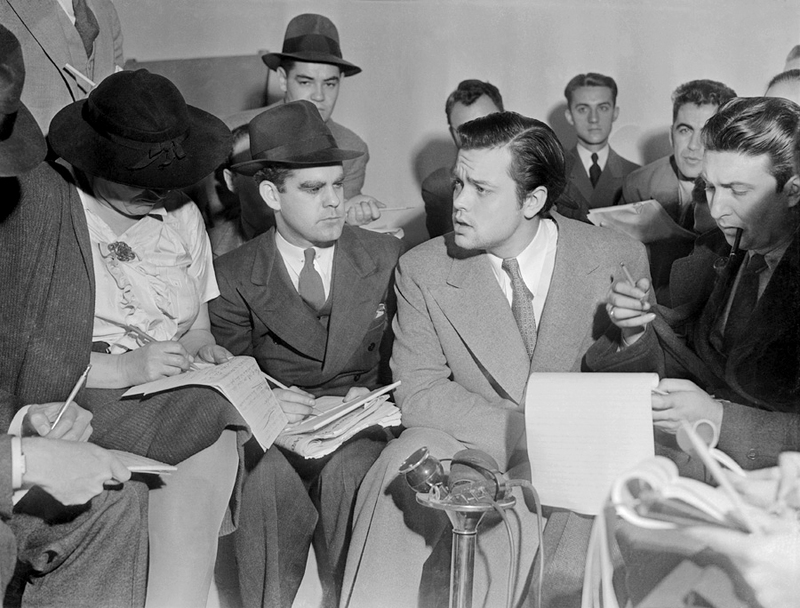 Photo of Orson Welles meeting with reporters in an effort to explain that no one connected with the War of the Worlds radio broadcast had any idea the show would cause panic. 1938. Susan A. Glenn, Female Spectacle: The Theatrical Roots of Modern Feminism (Cambridge, MA: Harvard University Press, 2002). Paperback ISBN-13: 978-0674009905 . We will watch scenes from ‘Birth of a Nation’ in class, but if you’d like to watch more of it on your own time I am providing the film below. I will reference or discuss some of the songs below in lecture. It would be helpful if you listen to some of them at your leisure. This is a Carter Family playlist with both audio recordings and film clips spanning their eighty-year history in American folk, gospel, and country music. This is a radio recording of the Grand Ole Opry radio show featuring artists like Hank Williams. There is a significant amount of Grand Ole Opry footage from the television show available online that I would encourage you to browse. The show uses an interesting combination of minstrel songs, folk classics, new pop songs, country, and variety show comedy breaks. Sister Rosetta Tharpe, the queen of the gospel circuit, was one of the first musicians to integrate electric guitar into the genre. Notice her all white audience. Maybelle Carter (1909-1978) was an original member of the performing Carter Family. After the breakup of that group in 1943, she formed a new act, known as Mother Maybelle and the Carter Sisters, with daughters Helen (1927-1998) shown here on accordian, June and Anita. Maybelle was an influential presence, particularly as the originator of a style of guitar playing emulated by Leadbelly, Woodie Guthrie, and many other musicians. Smithsonian. Phonograph record. Sister Rosettta Tharpe. [Cover page]: “Gospel Hymns. Sister Rosetta Tharpe. Decca Records”. Image of Sister Rosetta Tharpe playing acoustic guitar in front of a colorful gothic arch stained glass window. USC Gospel Music Collection. How do the “female spectacles” that Glenn describes compare with the performance of masculinity in Buffalo Bill and his Wild West Show? In what ways did these women and Cody both perform gender, or use performance to shape popular ideas about specific aspects of American society? What about the sporting men? What is the key determinant of female performers’ independence and freedom in popular culture? Which new institutional practices within the theater made it possible for women to break new ground? Do you buy the subtitle (and the author’s argument)? Can we find the roots of modern feminism in the theater? Why or why not? This week we will have a graduate student joining us on Thursday who has written a book on “War of the Worlds.” First, we ask you to take notes while you listen to the radio broadcast and try to pay attention to the sound effects, narration style, and storytelling tactics used that make this seem “realistic.” He asked that you look at the correspondence from New Jersey (provided above in the gallery) and write a paragraph about the general themes you notice in the letters they sent in. How do you feel about what they said now that you yourself has also listened to it?